Bios Mods -The Best BIOS Update and Modification Source - [SOLVED] Sony Vaio VGN-AR630e - Compatibility with T7800 or T9500? Bios Mods -The Best BIOS Update and Modification Source > Bios Mods Forum > CPU Support Upgrades > [SOLVED] Sony Vaio VGN-AR630e - Compatibility with T7800 or T9500? 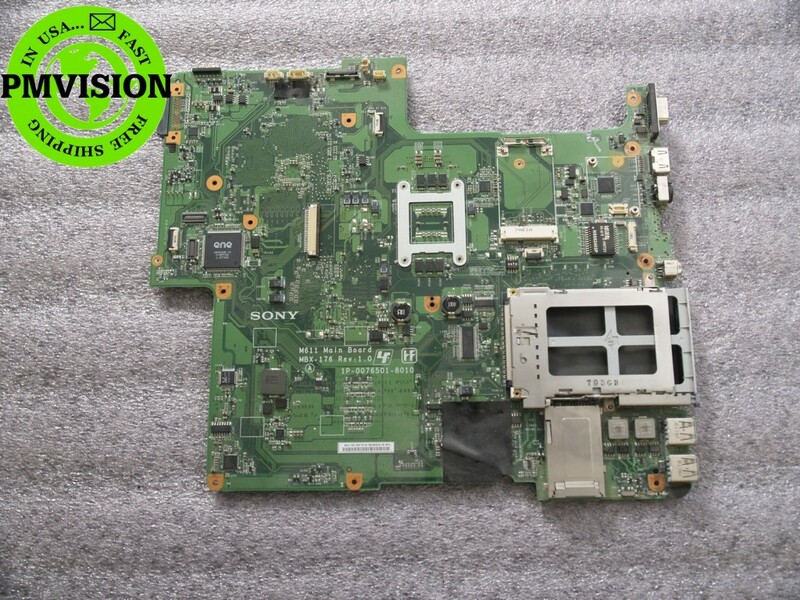 Full Version: [SOLVED] Sony Vaio VGN-AR630e - Compatibility with T7800 or T9500? I've been working on refurbishing an old Sony Vaio VGN-AR630e, and among other things, I'm hoping to upgrade the processor. However, I can't find any record of what processors are functional with its BIOS. I'm hoping you can tell me if either of my processor choices will work natively, or if it's not too much trouble, mod the BIOS to allow the computer to run it. Based on my research, the best upgrade that is physically compatible with the system is either an Intel T7800 or an Intel T9500. I'd love to get the latter installed, but again, I know it's a matter of whether or not the BIOS will let me. Additionally, if I can use the T7800 natively, let me know if it'd even be worth it to take the time to get the T9500 compatible. Currently the computer is running an Intel T7250. This is also the only processor listed as an option in its spec sheet, though the User Guide is for all models in the AR600 series. The only downloads I could find for it are on the same page. Under the Motherboard category, Intel Chipset Device Software version 952E1E5A is available. The Sony Vaio VGN-AR770 lists both the T7250 and the T9500 as compatible in its spec sheet. Interestingly, it's one of the few models that lists multiple compatible processors at all. It's driver downloads can be found on this page. Under the Motherboard category, Intel Chipset Device Software version 8.2.0.1014 is available. It also has an update for Intel Matrix Storage Manager. I don't know enough about The Vaio's model line and sales strategy to know if different customizations yielded different model numbers, and unfortunately Archive.org's record didn't have anything on the subject either. As such, I'm unsure what the major differences are between the different models in the VGN-AR600 and AR700 series, or if there were any changes to processor compatibility between them. I'm really hoping that one of both of my processor choices are compatible out of the box, but I have no idea how to find out that information. Thanks for hearing me out, and I look forward to any help or direction you can give me! Post a screenshot of third (Mainboard) tabs of CPU-Z with native CPU. Make BIOS backup by Universal BIOS Backup ToolKit 2.0. Open cover door (on DIMMs) under your laptop, remove all DIMMs, make and post a good foto of stickers on slots for memory. P.S. VGN-AR770 has the different motherboard. P.S.S. What's color of laptop's motherboard? Can you make good fotos of laptop's motherboard? (05-30-2011, 07:57 AM)kizwan Wrote: [ -> ] There is an alternative solution to backup current BIOS without programming the BIOS. This method use windows tool, WinPhlash. Since you're backing up the current BIOS in windows, two modules in the (backup) BIOS image will be a bit different than the original BIOS image; BB.ROM (boot block module) & ESCD.ROM (CMOS memory). The (backup) BIOS image is fine & you can use it. Make sure you select "Backup BIOS Only" as illustrated in the picture below. The WinPhlash tool require you to select the correct BIOS image even if you only want to backup current BIOS. In the "Specify new BIOS file" field, just select v1.05 BIOS image (JE43105.WPH). Thanks! The 770 having a different motherboard makes sense. Would lead me to assume the T9500 won't be natively compatible, but I'll wait for your answer! EDIT: Only just saw your post about WinPhlash now. Should I go back and do it that way? OK, disassembly is no longer required. But I need BIOS backup by WinPhlash. He's attempting to use WinPhlash now...but what should he use for "Specify New BIOS File?" EDIT: Just saw you provided a link for the new BIOS file. My bad! Sending it over now! "corrupted interface descriptors in the new BIOS file." Try use any "the correct BIOS image" (Phoenix). For example, unzip ZL1I3A10.WPH from this file. Or uncheck everything in Advanced Settings. Passed that file onto him several hours ago. Will report back with results whenever he gets back to me! As a side note, during this investigation, do you think you will be able to find which wifi card upgrade would be best suited for this computer, if any? I know about the BIOS whitelist problem, but short of trial and error, I'm not sure how to find out what would work. I'm also interested to see if this computer can handle 8GB of RAM, but that's an easy test to perform, once he brings it to me. Your VGN-AR630e has a green motherboard with p/n # A1364059A. It's MBX-176 Rev: 1.0, Sony M611. PM965 officially supports 4GB of RAM. But some laptops with it can use 8GB. Only real experiments can confirm it.